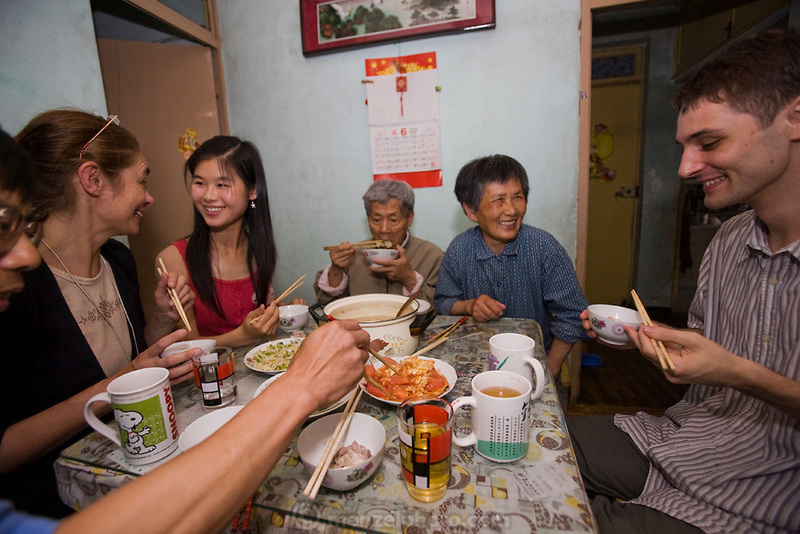 Chen Zhen, 20, law student in Shanghai China at home on the weekend with her father, grandmother and grandfather at dinner. She eats at KFC 3 times a week during the school week. (Chen Zhen is featured in the book What I Eat: Around the World in 80 Diets).